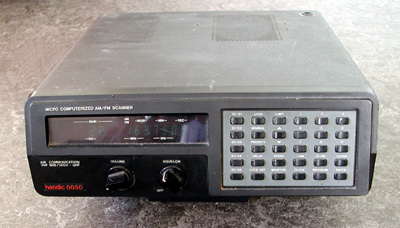 The Handic 0050 is a vintage scanner, and as it is a pre-SMD scanner, it's not a big deal to add a discriminator output. 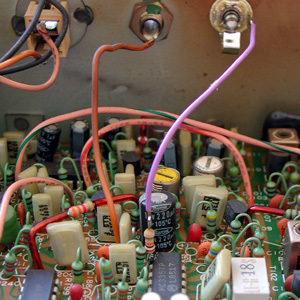 The discriminator IC is a DIL Motorola MC3357, with the unfiltered audio on pin 9. 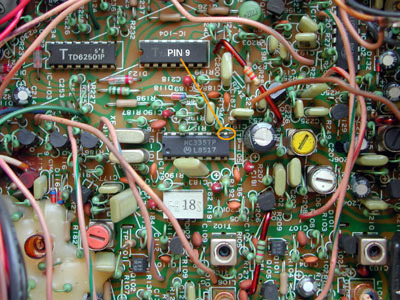 A resistor of 10 k is soldered to pin 9 of the MC3357. This resistor can be mounted vertically. A piece of wire connects the other lead of the resistor to a 3.5 mm chassis terminal mounted in the back of the scanner. As the back panel is grounded and it's only a short distance to the resistor, shielded cable is not necessary.